In recognition of the outstanding work FCCLA members have completed, Nebraska FCCLA is pleased to offer a variety of scholarships to assist current and past members with the cost of post-secondary education. 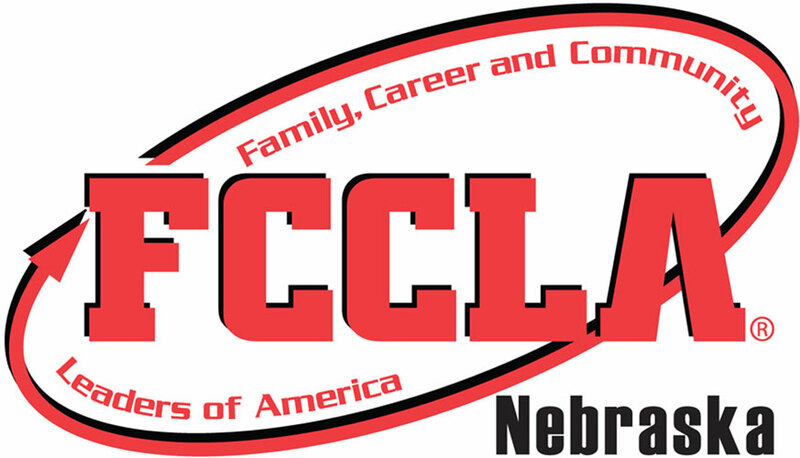 Nebraska FCCLA offers four different kinds of scholarships. All scholarship applications are due electronically by February 1 and all except the SPOT Scholarship must be sent to the current Board of Directors chair Tracy Way, Lincoln Southwest High School at tway@lps.org. “FCCLA Scholarship” must be in the subject line. The SPOT Scholarship must be sent to Lisa Groth at lgroth@boonecentral.esu7.org. This $500 scholarship is awarded to one former member to assist with tuition and expenses that occur during the required student teaching assignment. Individuals completing the Transition to Teaching Program are not eligible for this scholarship. The purpose of this scholarship is to develop interest in FACS Education, increase the number of FACS teachers, and increase the potential for additional FCCLA chapters. This $1000 scholarship is open to up to two students planning to enroll in a 4-year college or university with a major in Family and Consumer Sciences Education. This scholarship awards up to two $500 scholarships to outstanding FCCLA members planning to enroll as a full time student in a 2- or 4-year accredited community college, state college, or university with a major in a program other than FACS Education. The State Peer Officer Team (SPOT) offers one scholarship up to $300 to an FCCLA member who has been involved in programs related to peer education. Preference for this scholarship is given to a member going into a Family and Consumer Sciences related occupation. Check out the wide selection of National FCCLA scholarships by visiting the National FCCLA Youth Scholarships page. This summer, the State Officer Team came up with the BFF initiative. BFF which doesn’t actually stand for “best friends forever” as most of you are probably thinking is our new membership campaign that stands for Best FCCLA Friend! Think about why you joined FCCLA. Most likely, the majority of you joined because someone else encouraged you. So why not encourage someone else? Through the BFF program, we want YOU to recruit one new member and encourage them to join FCCLA. If you recruit a new member, visit Nebraska FCCLA BFF Form to share your information. Those who do will be recognized at the State Leadership Conference! In addition to being recognized, one lucky FCCLA member will win an FCCLA prize pack! So start thinking about who your BFF is going to be! All nominees will be recognized at the State Leadership Conference with the top 4 nominees recognized on stage and the announcement of the Ultimate Leader Award at the Business and Recognition Session. Nominate your outstanding leader(s) today! Applications are due electronically to the State Adviser by October 1. Program Application is available here.